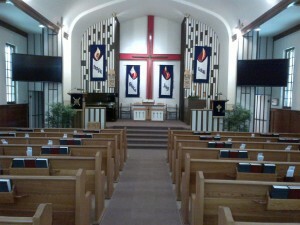 We at St. Paul’s Presbyterian Church are delighted that you are considering having your wedding service at our church. We ask that you carefully read our policy with its expectations for those wanting to be married at St. Paul’s. Our prayer is that your wedding day will be joyous, rich in meaning, and a wonderful beginning for your marriage. We want at least one member of the couple (ideally both) to be regularly attending (i.e. at least once a month) and active with a church where ever they live. We believe a supportive Christian community is a great asset to your married life. If you live locally, we invite and encourage you to join us for worship on Sundays at 10:30 am. If you reside locally, we highly recommend the Marriage Preparation Program offered by Calgary Counselling Centre, http://calgarycounselling.com 403-265-4980, Place 9-6 Building, Suite 200, 940 – 6th Avenue, Calgary, AB, T2P 3T1. This course goes from Friday: 6-9 pm through Saturday: 9 am – 5 pm. The cost of the workshop is $299 per couple, payable by cheque, credit card, or debit card when you register. To register please contact them by telephone or by email: contactus@calgarycounselling.com. If you live outside of the Bow Valley, we ask that you attend a marriage preparation course comparable to the one offered by the Calgary Counselling Centre. If you choose this option, then please check with our minister as to which course you would like to attend. Please note that because of this requirement, we will not perform any wedding on short notice. The minister of St. Paul’s will be the officiating clergy as he is responsible for any worship within our sanctuary. All weddings at St. Paul’s will follow the wedding service as outlined in The Presbyterian Church in Canada’s 1993 Book of Common Worship. For the wedding to take place, the minister must have in his/her possession, prior to the day of the wedding, your marriage license, and registration (a single form). The current fee for the marriage license and certificate is $130.00. All fees associated with your wedding will be given to the minister at the rehearsal. The cost of a wedding is $2,000 (which includes: Church Rental, Minister’s fee, Church Musician’s Fee, Wedding Facilitator’s fee, and Town of Banff Parking fee). Our church pianist is an accomplished pianist and will assist you in selecting the right music for your wedding service. Check with our minister as to how to contact her. All musical selections will be approved by the minister. In order to maintain a spirit of worship, we allow flash photography as the bride enters the sanctuary and when the couple leaves sanctuary as these pictures cannot be re-staged. All other photographs can be re-staged at the end of the service. Videotaping is allowed only from a location in the sanctuary that does not interfere with the wedding service. Please make sure that both photographer and videographer are informed and agree to these terms prior to the wedding. The church sanctuary comfortably seats about 160 people in the pews and 40 more in chairs. Decorations and flowers are welcome in the church. We do not provide any flower or candle stands. Pew bows are allowed, but use of any adhesive that may be potentially damaging to the finish on the pews, is strongly discouraged. The communion table is normally reserved for the signing of the register, but flowers and other Christian wedding symbols are allowed. We ask that you take care in removing any items such as flowers, pew bows, candle stands, etc. from the sanctuary following your wedding service. We kindly request that you to inform your guests that confetti, rice, birdseed, or any other commonly thrown substances at weddings are not permitted on church property or the sidewalk in front of the church. Church Address: Box 1264, Banff, Alberta, T1L 1B3. Weddings will be booked only after our minister has spoken with the couple ideally in person or by phone. Thank you for considering St. Paul’s as a potential venue for your wedding. We wish you God’s richest blessings as you make your marriage preparations. From: the Minister and Session (the Governing Board) of St. Paul’s Presbyterian Church, Banff, Alberta.